LinkedIn is a social networking site specially designed for the business community. It's been listed in the best social media tools as it offers an excellent platform for the businessman, professionals, and bloggers to establish professional relations with the people. Meanwhile, the LinkedIn security breach makes it unstable, but after getting its roots, it is the ultimate social networking platform in order to build the trust professionally. You can promote your business and get your name in front of potential prospects & it will set you apart from competitors. LinkedIn is a valuable resource for business professionals to network, get support and find a targeted audience. Through LinkedIn publishing, it is easy to build the relationships with potential customers, clients as well as with the partners. It is the best platform for building strategic relationships. Overall, with an additional LinkedIn revenue added to estimated earnings, it helps to bring traffic to the blog and growing the business with several folds. Through LinkedIn, the business can gain a new member almost every second and that is why its the best internet advertising platform. With free business advertising & millions of professionals, the LinkedIn offers a huge network of an audience the business can target. LinkedIn drives more web traffic to B2B blogs and sites. It is easy to find the target audience for the business through LinkedIn. And for this, it is necessary to bring more and more people to know about your blog. So, it is ideal to use the LinkedIn platform for getting excellent blog traffic. 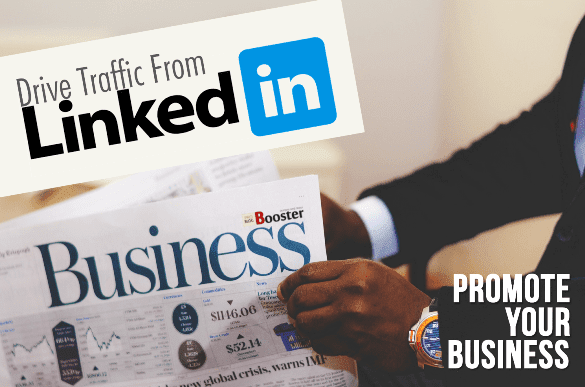 So let's check out how to promote LinkedIn post that make you famous and drive massive traffic to your blog. Last time you have seen, 15 Ways To Improve SEO Ranking Fast That’ll Generate Huge Traffic To Your Site and today we are going to see how LinkedIn publishing help you to get massive traffic for your blog. Promoting your business - LinkedIn is a professional web platform where you can easily publish the content. It is a professional social networking channel where you can find your place for getting more exposure. According to my point of view, the LinkedIn is the best platform to make your readers know about your content and thereby make them the permanent followers of your blog post. Use LinkedIn to make your content shine and focus on driving targeted traffic that having relevant interests in your blogging niche. To gain more blog traffic from LinkedIn, it is necessary to concentrate on some important points. 1. Optimize your profile & LinkedIn company page. As you know, the first requirement of every social networking channel is to create a personal profile. Accordingly, for LinkedIn, designing the personal profile to drive enough traffic through LinkedIn is very important. With most impressive profile it would be easier the optimize traffic flow towards the blog post. To optimize the LinkedIn profile along with your brand, it is essential to have a good online reputation. In the 'About' section of the LinkedIn company page, you can introduce yourself with a brief summary of your previous work & experience. The quick summary should clearly explain your likes and business. Be sure to make it easy to get for the people to contact you via LinkedIn or email. In order to get more traffic for your blog post, you can link your recently published blog posts in your profile. It is always recommended to share the part of the content that can inspire the people to visit the blog. Just note that the media that appear in the summary section is the first thing the people see while viewing the profile. So, it is important to add catchy media in the short summary section of your LinkedIn profile. 2. Finding & joining groups. To drive more and more people to your LinkedIn company page or profile and in turn to the blog post, you need to find and join many but active groups. Joining and participating in groups can be a great social media marketing strategy you can follow. LinkedIn groups are the root to the network with the peers and the targeted audience. Find groups having related interests and get connected to them. Take an active part in the group, introduce yourself. Start commenting, provide guidance, greet the members, etc. This way you can drive traffic towards your profile. The more people visiting your profile, more are taken towards your blog post. 3. Make your own group. You can create your own group and take an active part in the group activities. The group will help you for building communities that can, in turn, help you drive traffic towards blog post. So, it is essential to take efforts to remain active in the group. Also bigger the size of the group, more traffic you can bring to the blog post. Send an invitation to the email addresses you have. Call social media followers to get connected with you. Send request to LinkedIn contacts. Link your group on your blog. Add descriptive title and description. Ask for feedback or comment. Comment on other blogger’s post. 4. Create LinkedIn company page: Branding. In order to bring quality traffic to your high-quality content, you need to create a LinkedIn company page. You can provide a brief, clear description of the business and can share the regular updates about the work, blog pages and the enterprise services you deliver. This will make other LinkedIn users to trust you and click on the links added by your in the profile & news feed. 5. Share quality content for your marketing promotions. Sharing quality content is very important. You can share the content from your company page or from your personal profile. A quality content sharing will definitely help grow your audience and ultimately the customers. Write user-friendly and easy-to-understand content. Make it interesting, appealing and attractive. Add thumbnail images as well as higher resolution images with every post. The quality of the content plays a vital role in getting significant exposure. Also, more you share good content with rich media, you will get high exposure. So, always try to share quality content and get exposed to a larger and larger audience. 6. Add "Share This to LinkedIn" button. Adding a LinkedIn button to your site or blog is yet another way to get other people to share your content on the social media sites. LinkedIn buttons are free and take just seconds to set up. The social sharing buttons allows your visitors to share your content with their own network. It also makes easier for sharing the content through the groups. This way you can have a large number of viewers and ultimately diverted towards your blog post. 7. 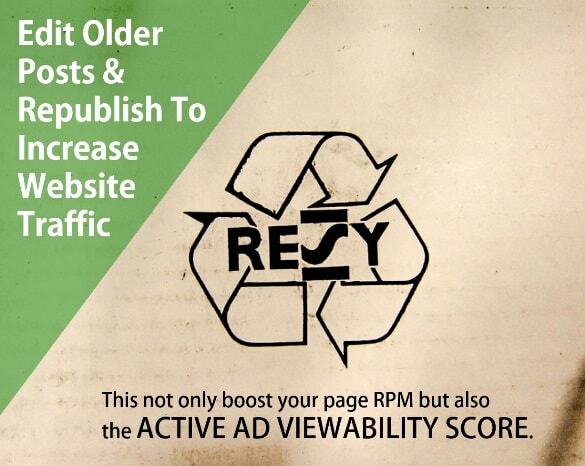 Republishing old content For more traffic & better exposure. It is very important to remain active on LinkedIn all the time. Sharing fresh and new content is necessary. At the same time, you can also republish your old content. This way you can reach to new readers and drive new followers to your e-books, guides and so the website. 8. Choosing the right content to share on social media. The content you share must reach to the right audience. At the same, it is necessary to consider sharing the right content. In order to drive organic traffic to the blog post, you should share good content with your readers. The relevant content shared can make the reader trust you. As a trustworthy blogger, your reader will always wait for your new post. This way you can bring more and more readers for your blog post. 9. LinkedIn mobile app: Use LinkedIn on-the-go. The mobile application of LinkedIn has been developed to make networking possible and easy on the go. By participating on LinkedIn through your smart device, you can stay connected and engaged anytime and from anywhere. You can keep your LinkedIn company page & profile active and can drive views to your profile. Ultimately, you can drive more visitors to your blog. If you really want more users to read your blog, it is first required to share it on the social media platform. LinkedIn is the specialized social media channel primarily designed for professionals and businessman. I hope you liked these ways, let me know what you think on these methods or if you have any suggestions please use the comment section shown below to share your views, or any if you have questions.